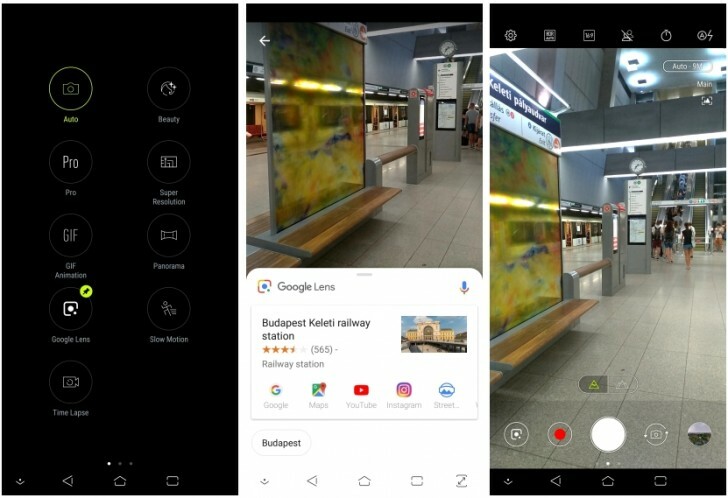 Asus' PixelMaster Camera app is the latest among Android OEMs to get the Google Lens functionality. The feature is being added as part of a firmware update for compatible ZenFone 5 devices and will likely be included in future PixelMaster Camera updates through the Google Play Store. The Google Lens functionality allows you to photograph objects around you and let Google's machine learning algorithm figure out what it is and provide relevant search results. It's sort of like AR but not real time and apart from recognizing really obvious things isn't really all that useful to be honest but if you want a new gimmicky thing to play with, it's now there. Asus is the third OEM to get this functionality in its camera app, after Sony first introduced it in the Xperia XZ2 and XZ2 Compact devices earlier this year and also Motorola in its latest camera app update. Google promised over 10 Android manufacturers will be adding this feature in the coming months, so expect others to join soon. Big selling point of their Pixel line, not going to give it up for free. You can get the apk if you root your phone though. Google camera for Android 7 above and compatible to all devices please?